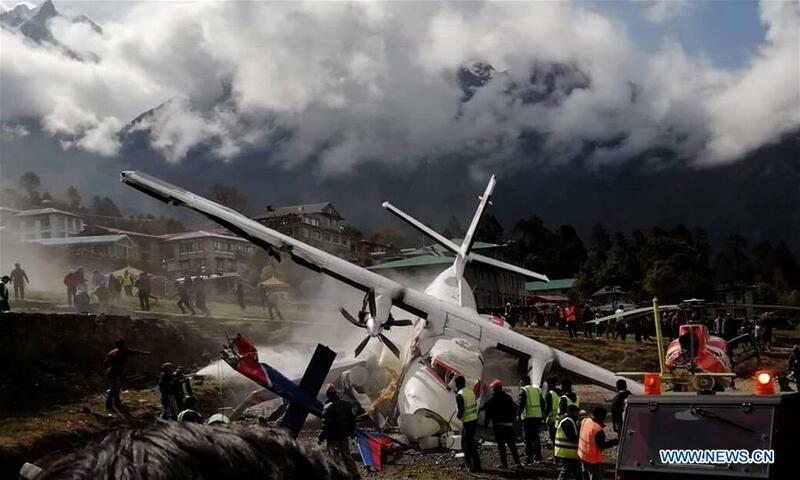 KATHMANDU, April 14 (Xinhua) -- At least two people were killed after an aircraft of Summit Air collided with a helicopter at Lukla Airport in Nepal on Sunday morning, according to local authorities. "At least two persons have been dead, while few others are injured," local media reported. It has been reported that the Summir Air plane was en route to Kathmandu from Lukla. Due to the extreme wind pressure, all round-trip flights are usually operated in the morning.